It comes in an orange package and has a yellow chick on it... it's Chicken Ramen! Don't mistake it for just chicken-flavored instant ramen-- this is the original instant noodle! Have you tried it before? In 1958 on August 25th, Nissin Food employee Andou Momofuku created the world's first instant ramen. Nowadays instant ramen is pretty common but at the time Chicken Ramen was a magical ramen-- you could just add water and bam! Cooked ramen! 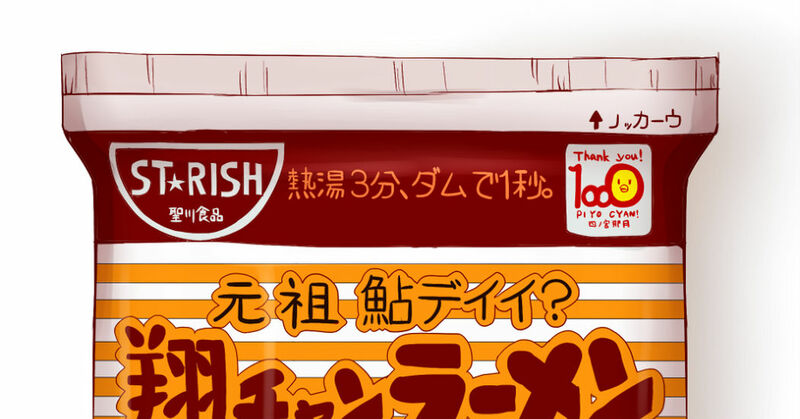 August 25th has now become instant ramen day, so check out these Chicken Ramen fanarts! Ramen, Slurp With All Your Might!